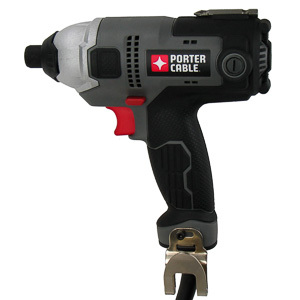 The Porter Cable PCE201 is one of kind. It isthe only high-torque corded impact driver in the Hingmy database atthe moment. AC power gives this driver performance numbers that fewcordless impact drivers can match. Let's take a look at what youcan get, if you are willing to tether your impact driver to thepower grid. We do not get to test a lot of screw drivers inour shop. Screw guns are one of just a few tools that areexclusively used by the trade. The DeWalt DW272 has all the rightproperties to make it last in the demanding world of construction.It looks tough, and roars mightily. Let's see how well the DW272performs under close inspection. Screwdrivers are a specialty tool for driving screws at a rapid pace. They outperform drills and impact drivers in terms of speed in a narrow band of applications. A corded screwdriver is a poor choice for general tasks around the home. Cordless drivers have taken over that task from their corded predecessors. Electric screwdirvers have evolved into specialty tools. Cordless impact drivers have taken over the bulk of screw driving work. These tools are easier to handle than their corded predecessors. If you are looking for a general electric screwdriver, an impact driver is the better choice. Some demanding applications, such as drywall installation, remain the domain of the screwdriver. The tip of the screwdriver will skin the screw to the correct depth every time. The power cord provides the energy needed to complete an entire house witout stopping. The ability to lock the power switch enables the user to continuously drive screws without putting the tool down. In a commercial encironment unnecessary spin-up/spin-down cycles reduce the tool's life. When driving a screw managing the torque is paramount. Enough torque needs to be applied to the screw for it to advance, but not too much too risk the driver slipping off the head. A good screwdriver will drive a screw witout much guidance from the operator. The design that goes into these tools makes electric screwdrivers the fastest way to drive screws available. 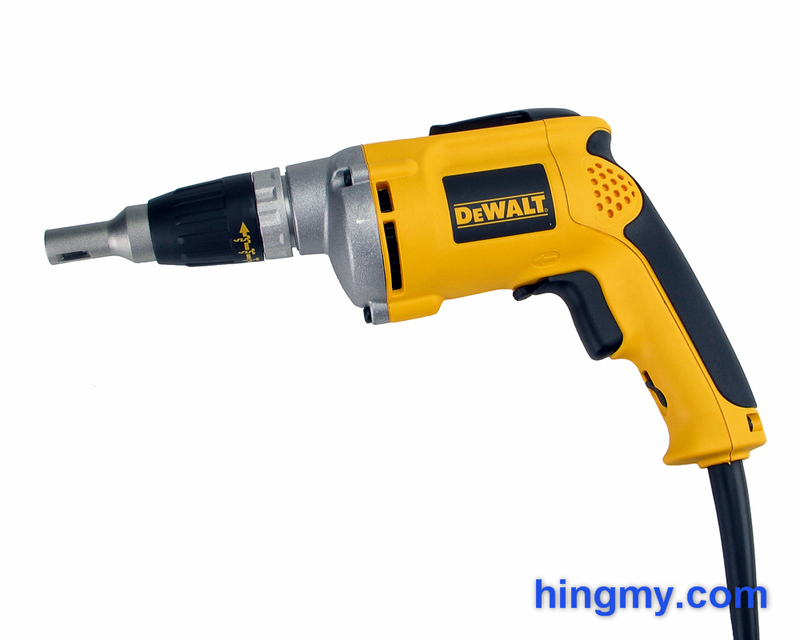 "One of the best drywall screw driver. Metal bill and gearbox give it great durability. A Pro tool. Weak motor makes it a poor choice for anything else."